Mathematics and Science for Sport and Exercise introduces students to the basic mathematical and scientific principles underpinning sport and exercise science. It is an invaluable course companion for students who have little prior experience of maths or science, and an ideal revision aid for higher level undergraduate students. self-test features and highlighted key points throughout each chapter. 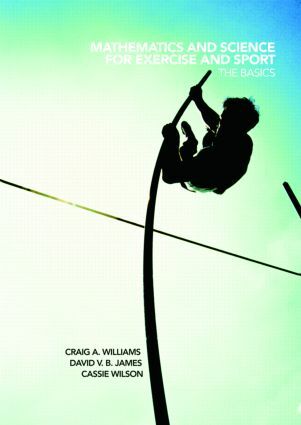 Fully referenced, with guides to further reading, this book is an essential companion for all students on foundation or undergraduate level courses in sport and exercise science, kinesiology, and the human movement sciences.